Journeys to the end of the world, fantastic creatures and epic battles between good and evil--what more could any reader ask for in one book? The Lion, the Witch and the Wardrobe, written in 1949 by C. S. Lewis, has it all. But Lewis did not stop there. Six more books followed, and together they became known as The Chronicles of Narnia. For over fifty years, The Chronicles of Narnia have transcended the fantasy genre to become part of the canon of classic literature. Each of the seven books is a masterpiece, drawing the reader into a land where magic meets reality, and the result is a fictional world whose scope has fascinated generations. Perfect for gift-giving or to add to your own collection, the signature edition presents all seven books--unabridged--in one magnificent volume. A lavishly illustrated collectible full-color map by the original artist for the series, Pauline Baynes, is included inside. This edition also contains excerpts from Beyond the Wardrobe, the official, indispensable guide to the classic fantasy series and its creator. 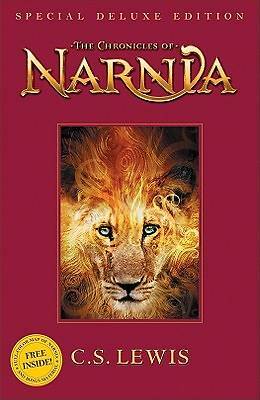 Deceptively simple and direct, The Chronicles of Narnia continue to captivate fans with adventures, characters and truths that speak to all readers, even more than fifty years after the books were first published.